The man who claims to be the whistleblower behind the revelation that the National Security Agency is gathering troves of data on individuals' telephone and internet use stepped forward on Sunday. Edward Snowden asked Britain's Guardian newspaper -- which along with The Washington Post first broke the story -- to release his identity. To watch the full interview at GuardianNews.com, click here. Snowden, a 29-year-old former CIA employee who currently works as a contractor for the National Security Agency as an employee of contracting giant Booz Allen Hamilton, claimed responsibility for the leaks that have roiled Washington for the last week, saying: "I have no intention of hiding who I am because I have done nothing wrong." Booz Allen confirmed later Sunday that Snowden worked for their firm for less than three months, assigned to a team in Hawaii. "News reports that this individual has claimed to have leaked classified information are shocking, and if accurate, this action represents a grave violation of the code of conduct and core values of our firm. We will work closely with our clients and authorities in their investigation of this matter," the company said in a statement. Working out of an NSA office in Hawaii, Snowden copied the documents he subsequently disclosed to the Guardian and asked his supervisors for time off to receive treatments for epilepsy. The Washington Post reports he told no one -- not even those closest -- about what he was doing. On May 20, Snowden departed for Hong Kong to monitor the results of his disclosures, a city he chose because "they have a spirited commitment to free speech" and because he believed the Asian island metropolis would afford him some level of insulation from the prying eye of the U.S. government. 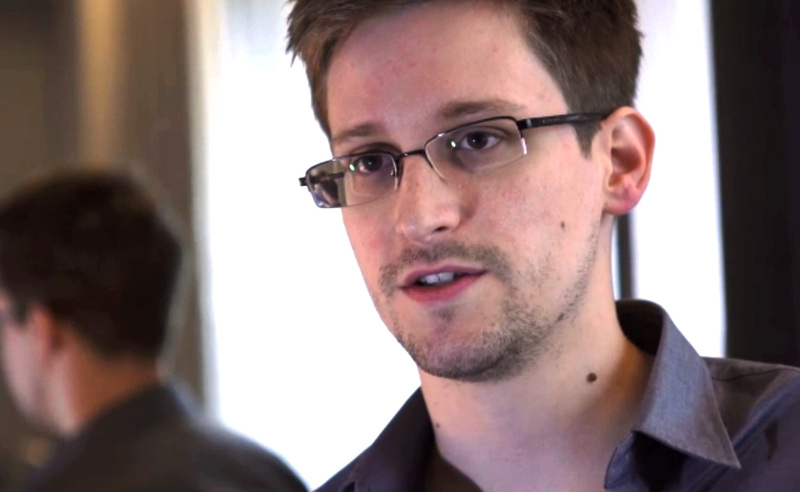 Snowden said that his best opportunity at evading punishment would be to seek asylum in Iceland, which has a reputation for championing Internet freedom, but conceded: "All my options are bad." He will likely face prosecution if he is extradited to the United States. On Sunday, an official with the Director of National Intelligence confirmed to CBS News chief White House correspondent Major Garrett that the NSA has asked the Justice Department to investigate the leak. Reuters has described the formal request as a "crimes report," signaling the likelihood of some kind of prosecutory action. The Obama administration has shown itself willing to aggressively pursue those who leak confidential information, and Snowden says that he fully expects to be held accountable for what he did, but he remains unapologetic. Noting that he enjoys a relatively comfortable life -- a stable career, a girlfriend with whom he lived in Hawaii, a close relationship with family -- Snowden said he is "willing to sacrifice all of that because I can't in good conscience allow the U.S. government to destroy privacy, internet freedom and basic liberties for people around the world with this massive surveillance machine they're secretly building." He says he does not see himself as a hero, "because what I'm doing is self-interested: I don't want to live in a world where there's no privacy and therefore no room for intellectual exploration and creativity." "The government has granted itself power it is not entitled to," he added. "There is no public oversight. The result is people like myself have the latitude to go further than they are allowed to." CBS News' national security analyst Juan Zarate said he thinks Snowden might be "aggrandizing" the level of his access, but the leaks do bring cause for legitimate concern. "It strikes me he may be overstating his access and what he was doing or could do," Zarate said. "But there is no question that the NSA, the government has access to lots of information and these leaks have revealed the big data that it had access to. It also has checks on what can be done with that information, and the NSA and other agencies make sure that analysts and others who have access to it are not doing things that are illegal and improper. Department of Justice spokeswoman Nanda Chitre said they are in the initial stages of the investigation into the NSA leaks and declined further comment "in order to protect the integrity of the investigation."